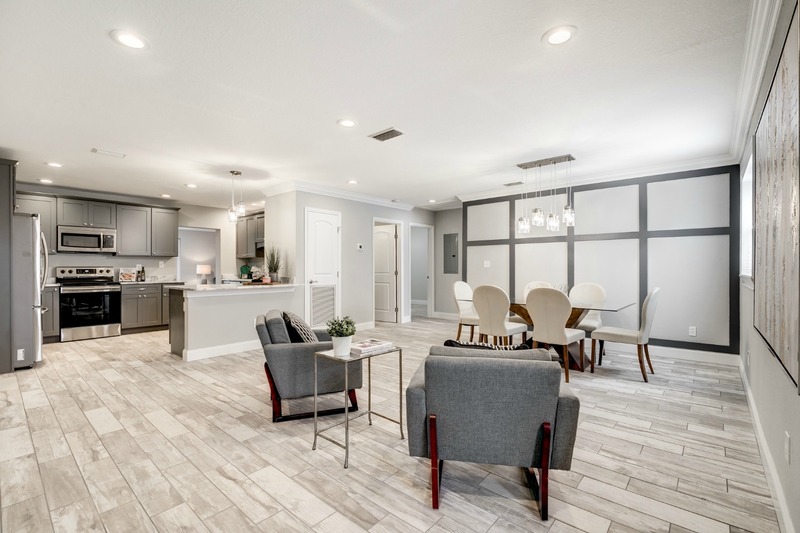 Gorgeous mid-century modern inspired home from D&B Phoenix Estates that perfectly blends designer style, sophistication and form . 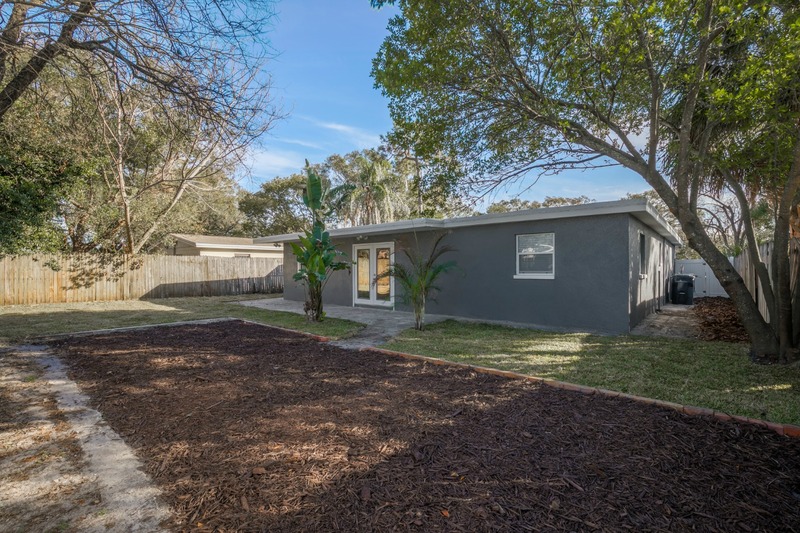 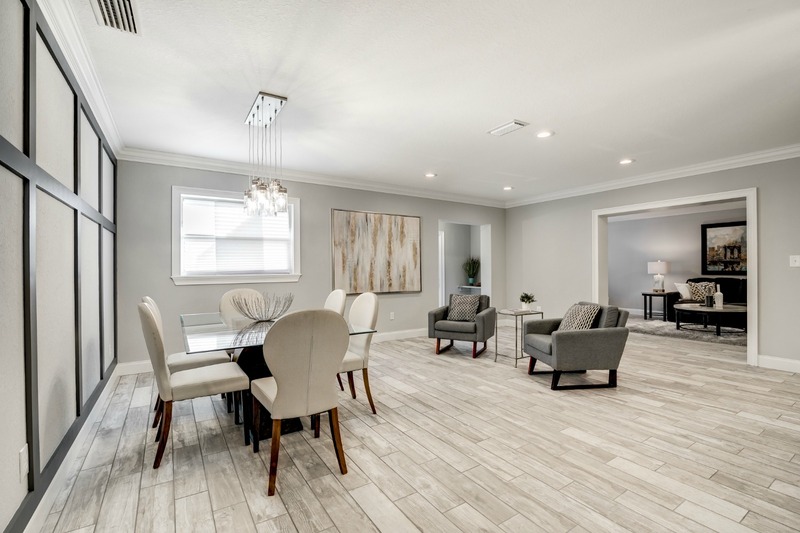 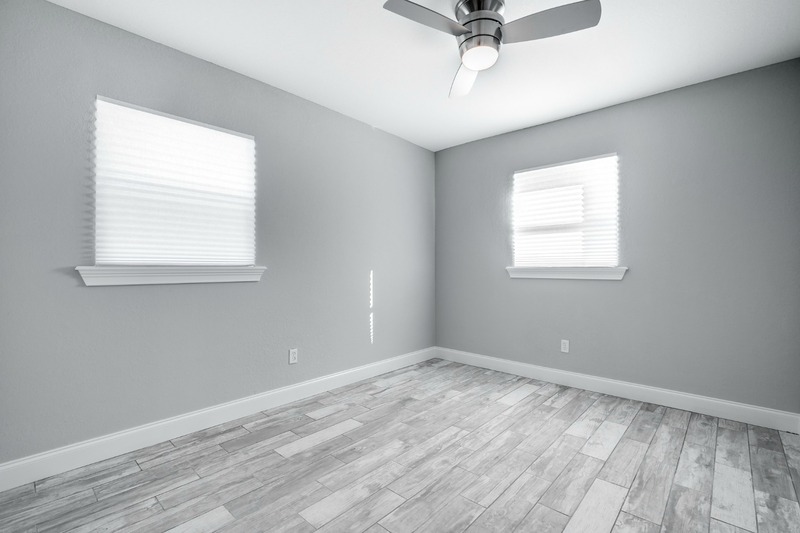 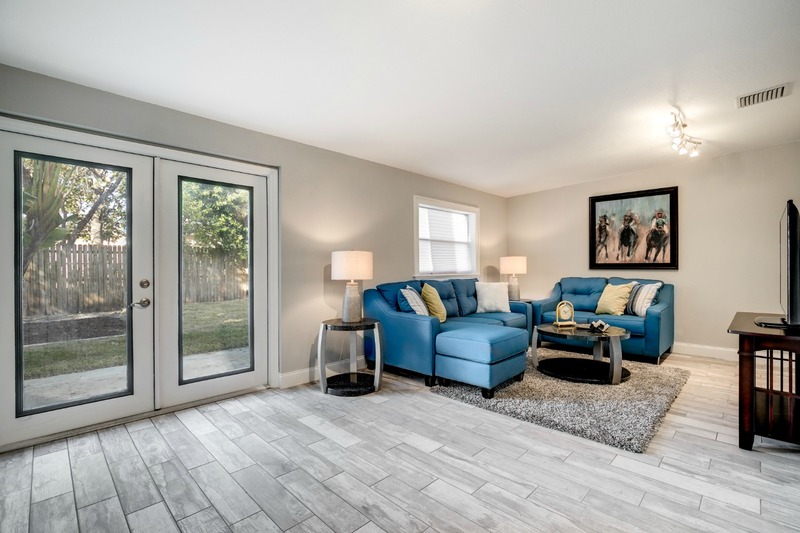 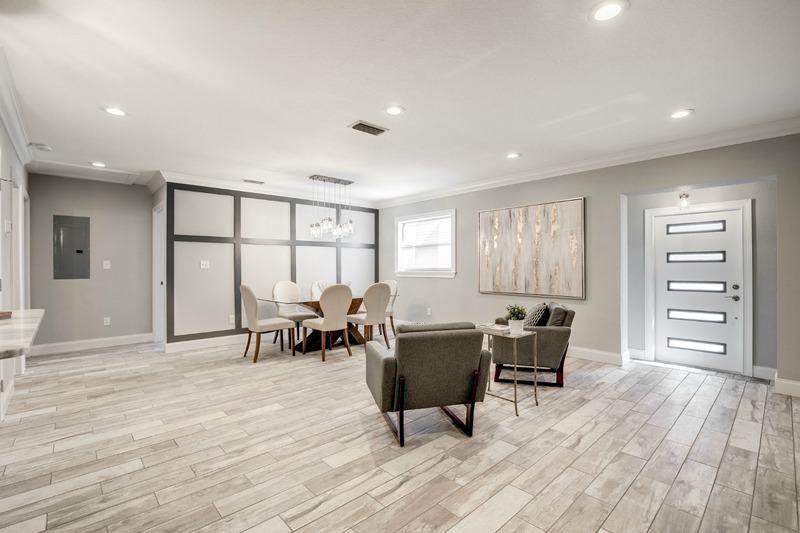 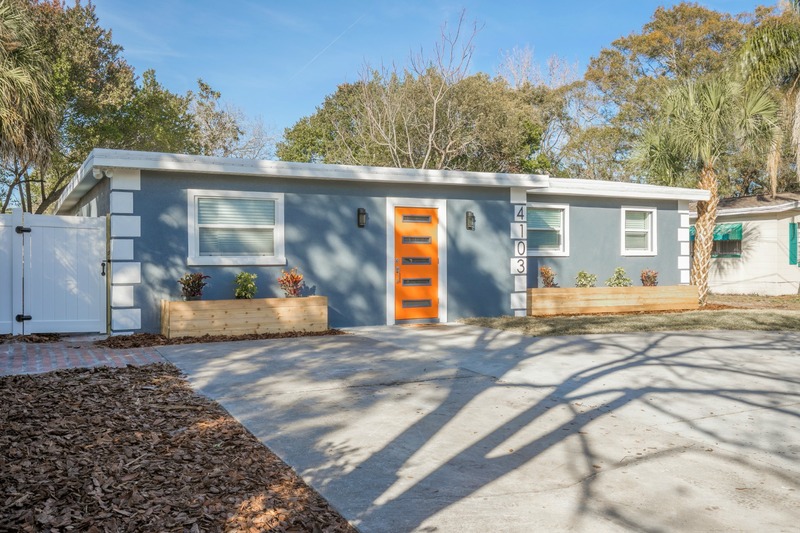 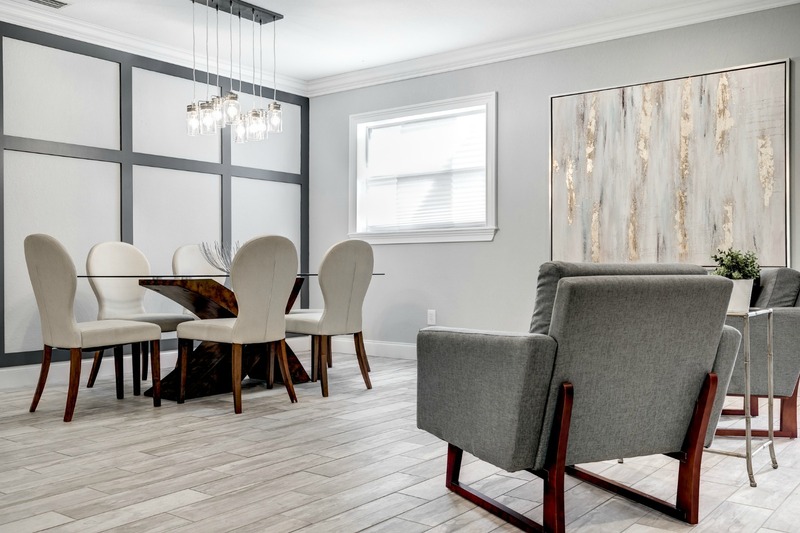 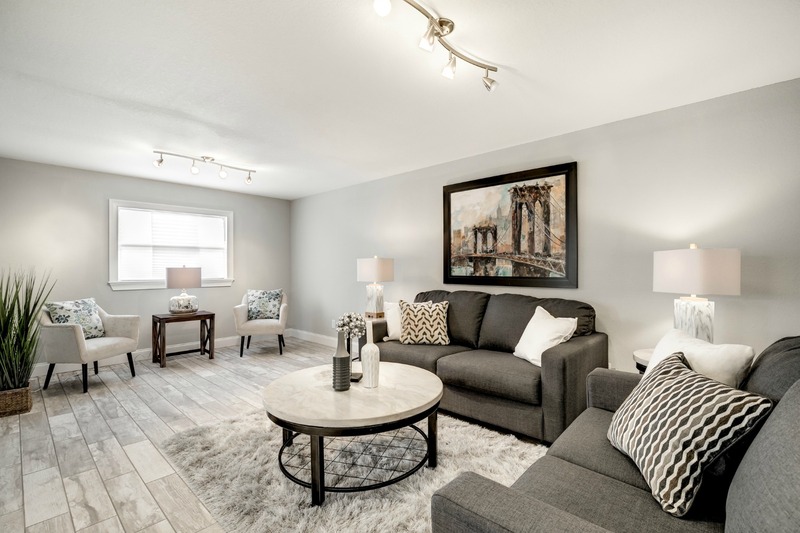 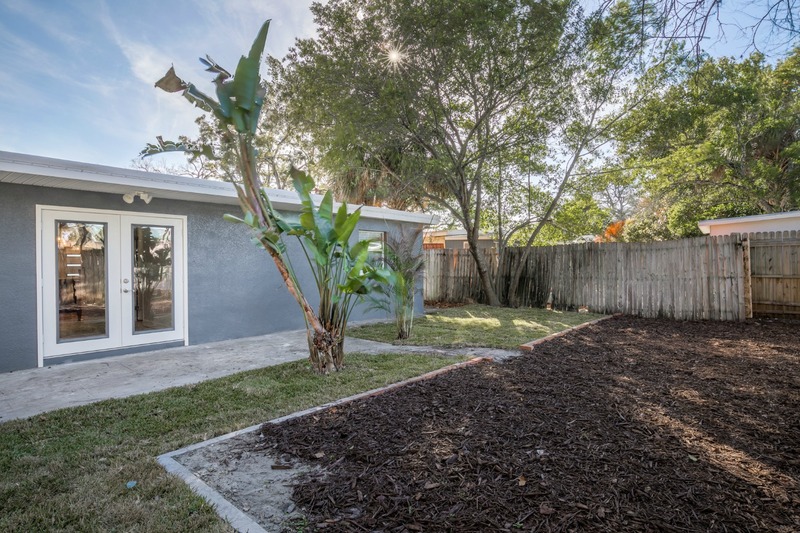 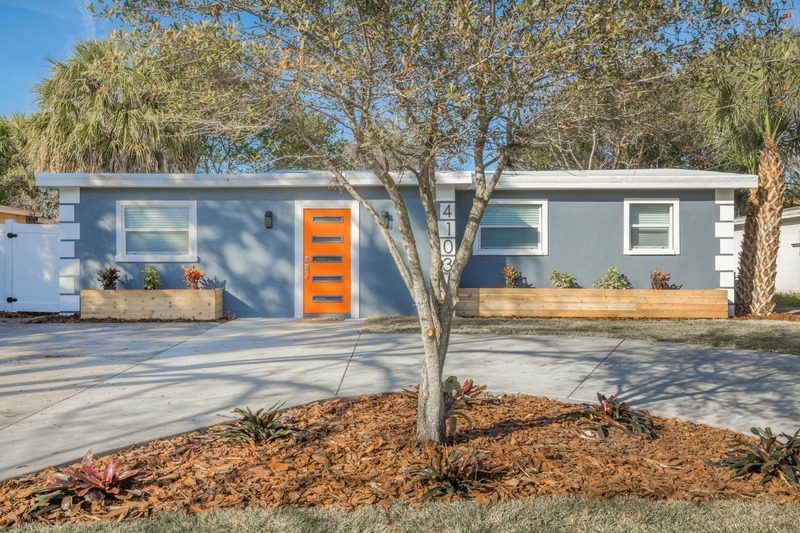 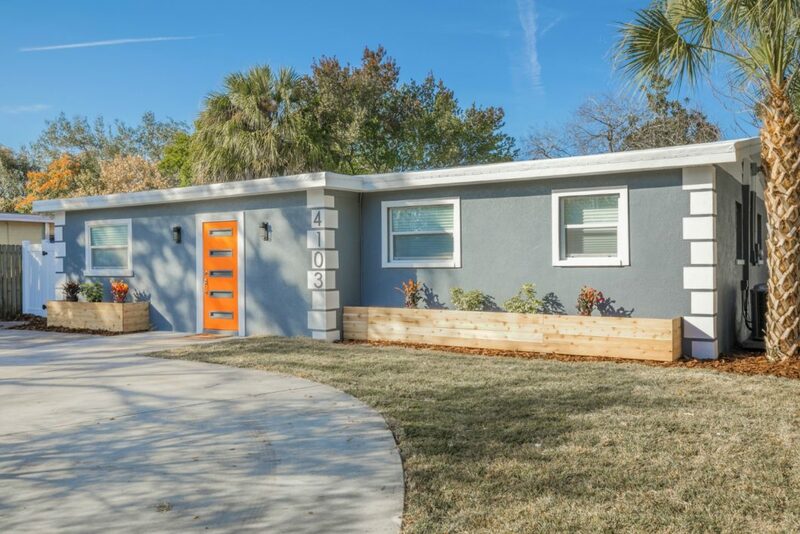 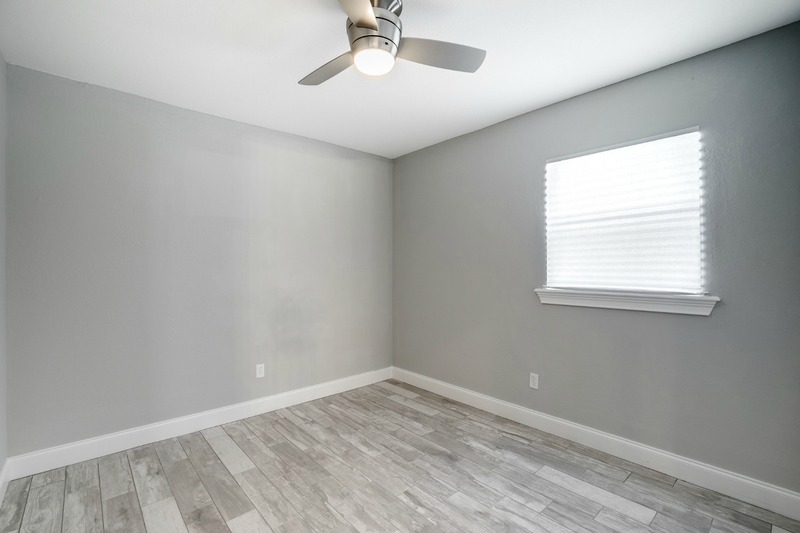 This block constructed home, located in the Plant High School boundaries, has been COMPLETELY renovated using only the highest quality and care. 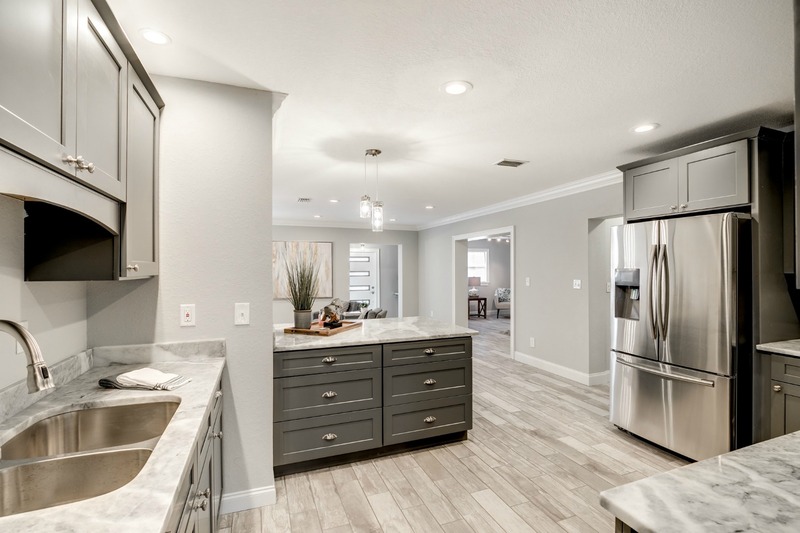 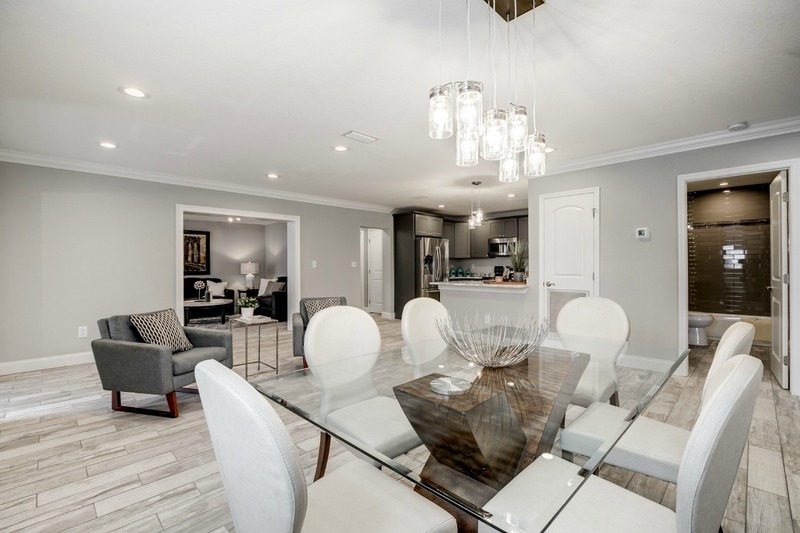 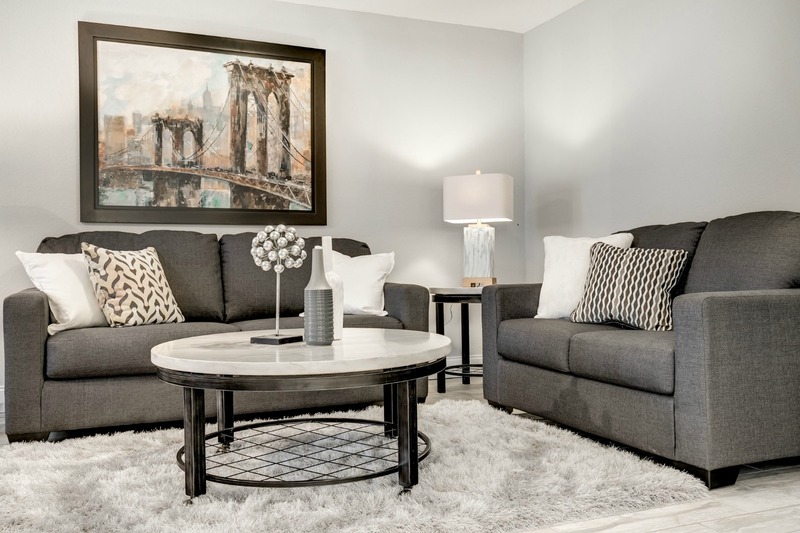 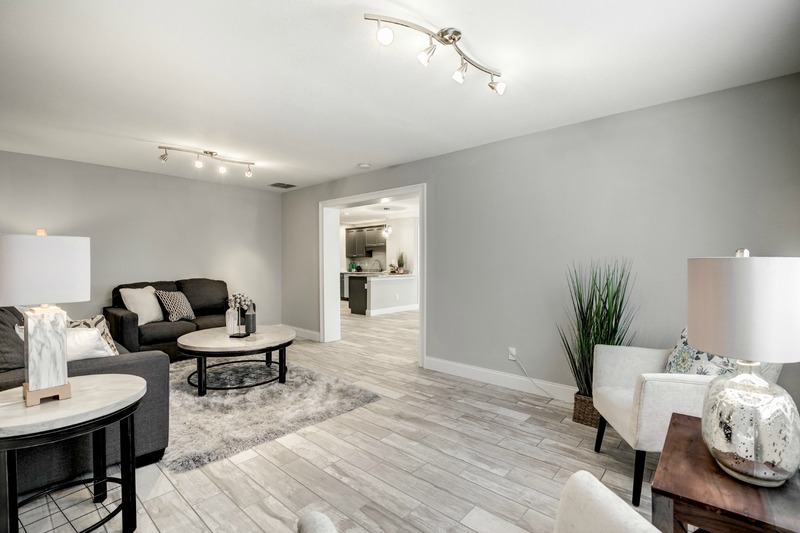 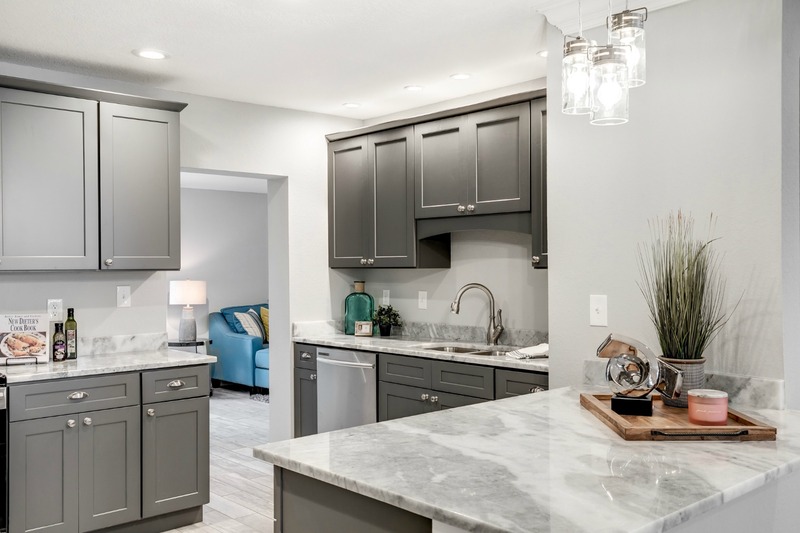 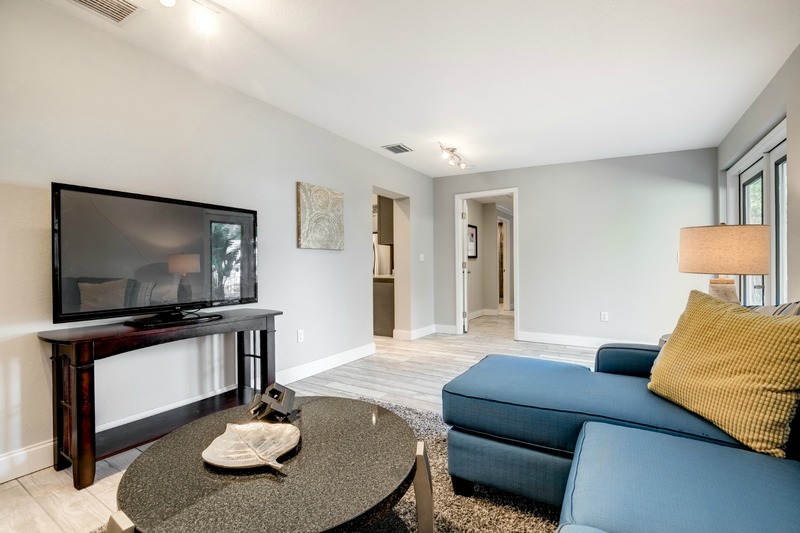 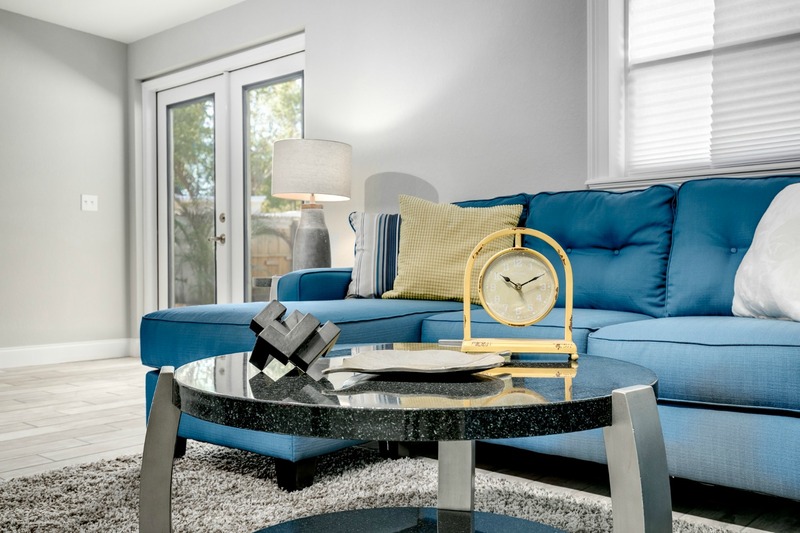 From the moment you enter the residence you will love the OPEN FLOOR PLAN, with multiple locations to suit your unique lifestyle needs. 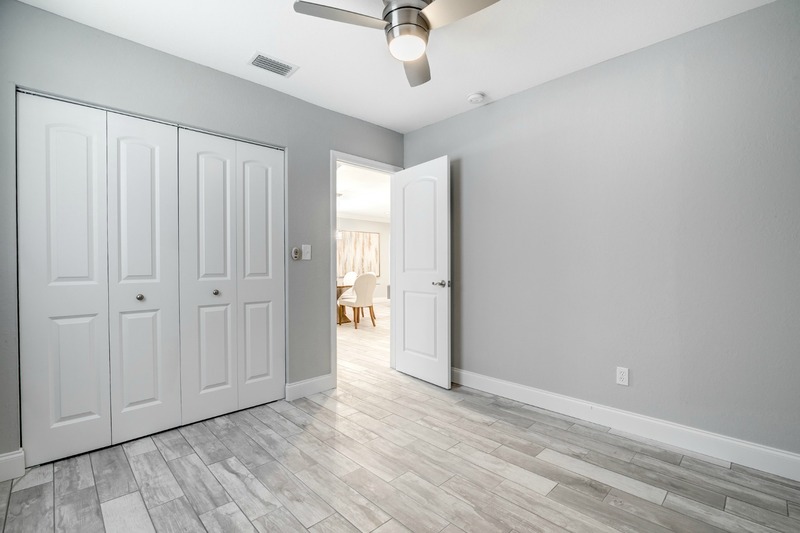 The new porcelain tile flooring has been consistently expanded throughout the entire home to give a clean and crisp look and feel. 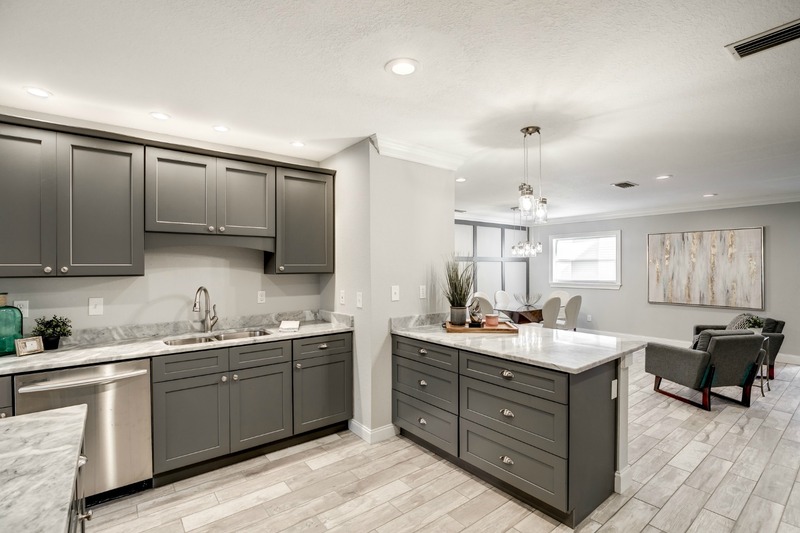 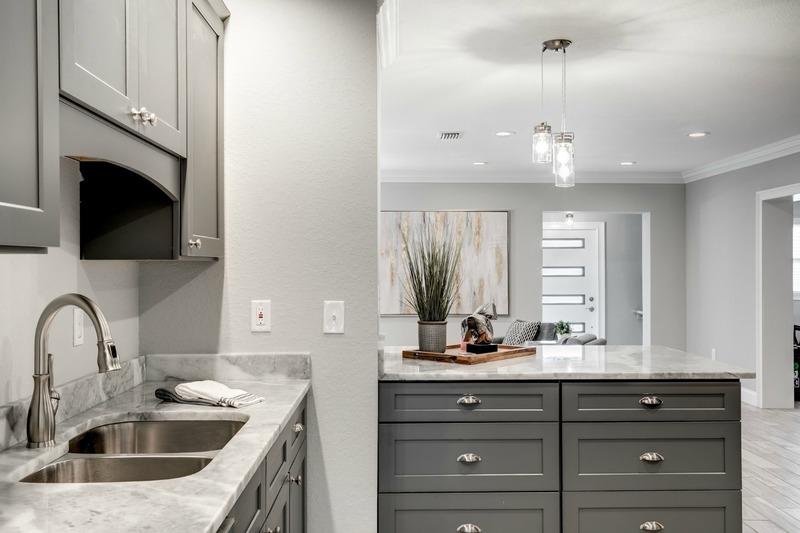 The beautiful DESIGNER KITCHEN will not disappoint with trendsetting grey and white tones. 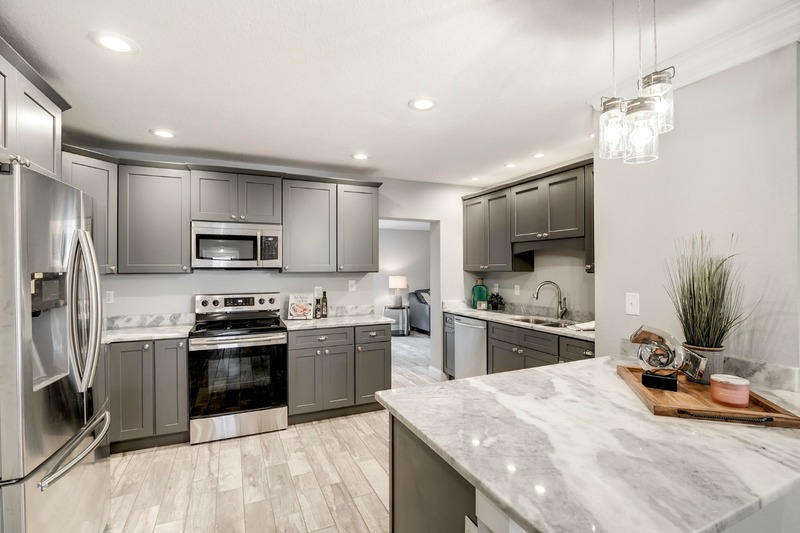 The wood kitchen cabinets are a shaker design and matched with gleaming ¾ inch quartz countertops as well as Samsung Stainless appliances. 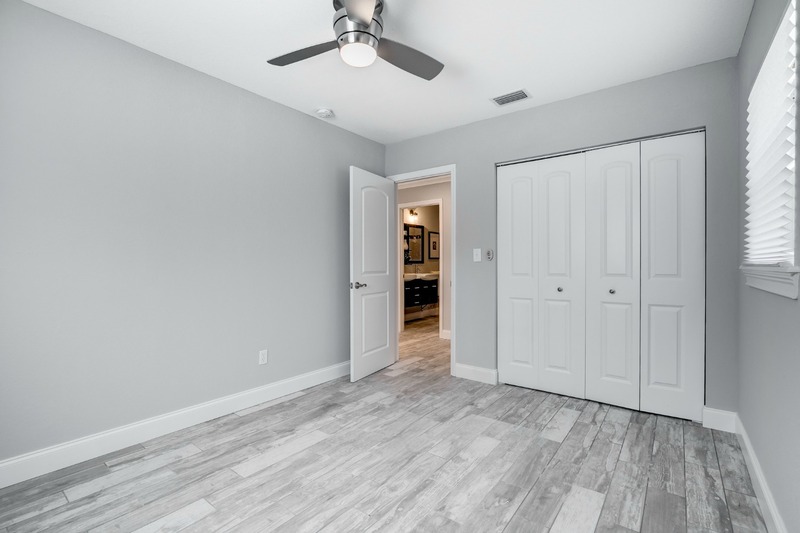 The great room has been appointed with beautiful crown molding and enhanced with a special accent wall. 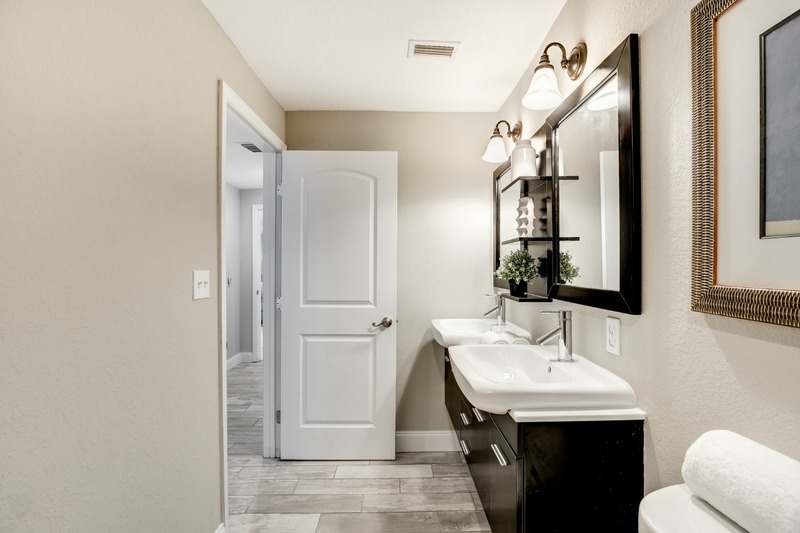 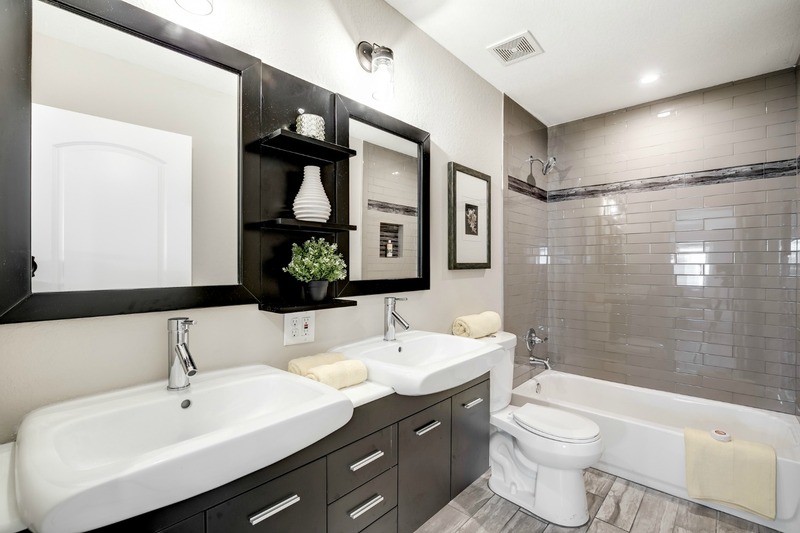 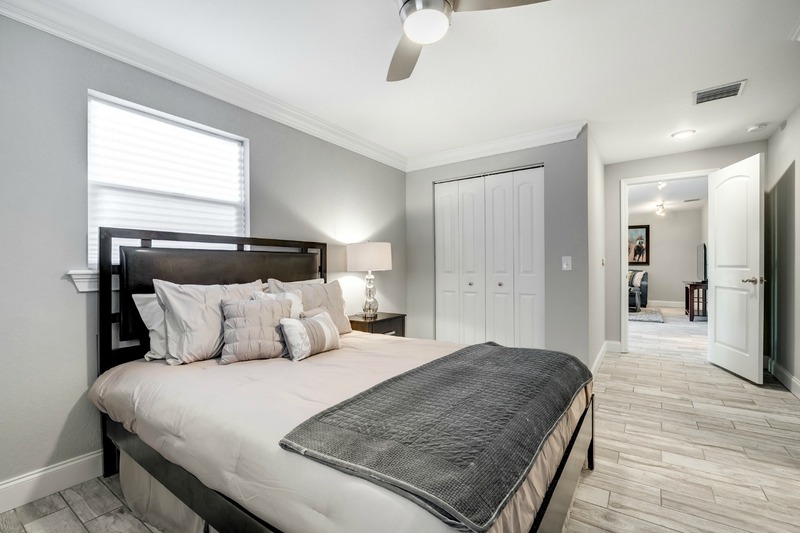 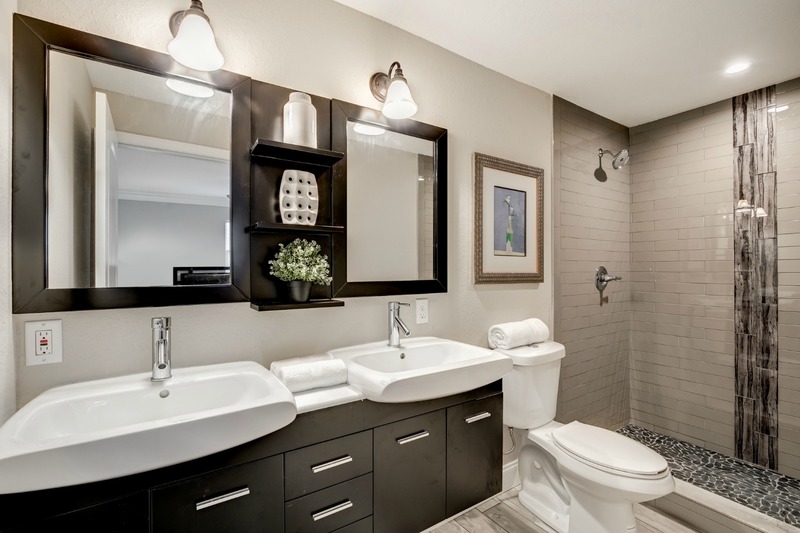 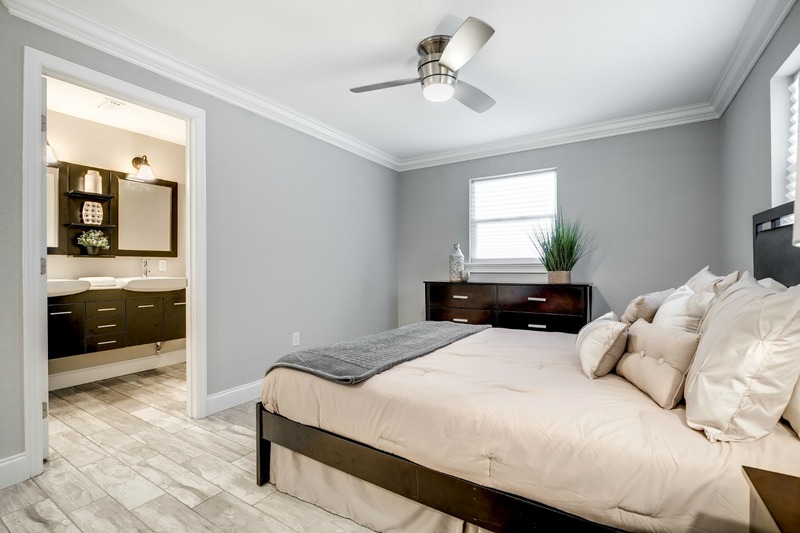 Ideally located in the rear of the home, for maximum privacy, the master suite has plenty of room with its own large walk-in shower and double vanities. 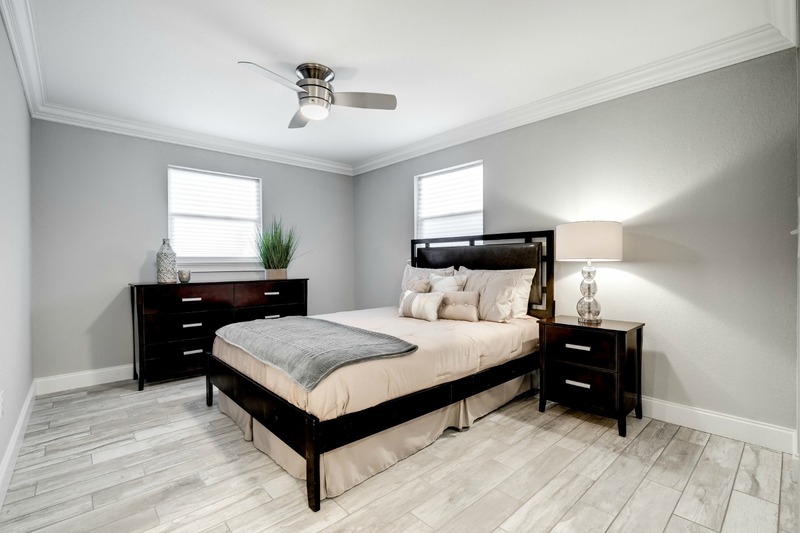 The additional two bedrooms offer a split floorplan and are well proportioned.